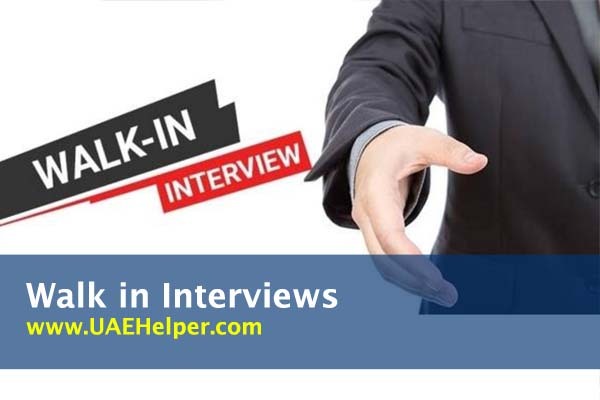 Walk in interview in Dubai is a new way to conduct interviews; companies are taking interview face to face instead of collecting resume ad than the long-awaited gap of the procedure. Here companies mention the time, location, job nature and requirement. So, if you are available at that time in Dubai than you can take the chance otherwise, no matter how qualified you are, nobody’s concern. So, anyone can be eligible for the interview if, he or she is located in Dubai during the walkin interview in Dubai trials of different companies. You can check the next job details and time from the newspaper. Settled down all your documents and prepare a professional resume that showcases your skills and abilities. No matter how much time is taken by the company, wait for your turn and don’t lose hope. Confidence is the first key to success. Fresher can also apply for the job. Walk in interview in Dubai save you much time. Whenever you get the chance, avail it without any doubt. If you failed the first time, it’s ok. Try for the next one. Undoubtedly, the job criteria in Dubai are still very tough, but the walk-in interview in Dubai is a better solution for jobs. The job market of UAE is often making changes in their rules and regulations, but still, people are willing to get a job in Dubai. You can check the next walk-in interview in Dubai and get the chance of your lifetime. Do not forget to bring your all documents with your job application and resume. You can check the job description online from Dubai’s newspaper. Most of the jobs are related to graphics designers and marketing.